The world invested almost $280 billion last year on renewable energy projects. 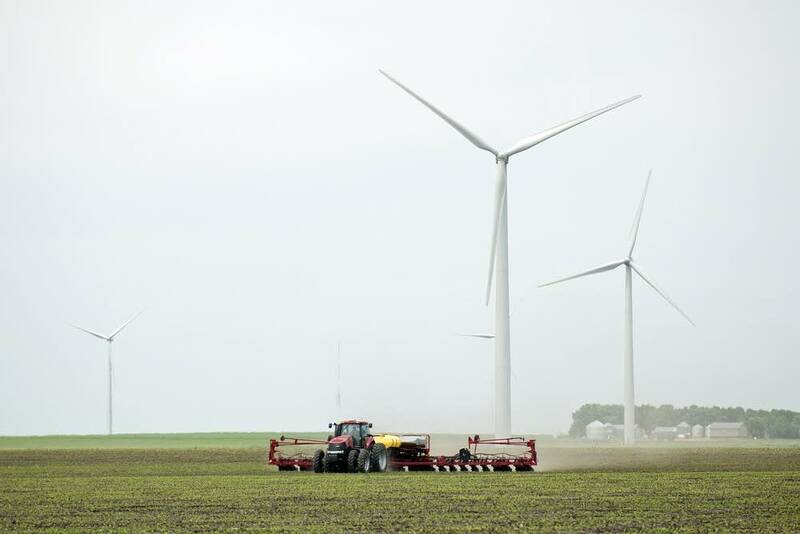 A new study says the Midwest can generate 100 percent carbon-free energy by 2050, with today's technology. And a survey has nailed down the best language to use when talking about climate change. The business case for "climate capitalism"
Companies and banks are spending billions on climate sustainable business solutions. Who is making money in this new economy? How are construction firms and manufacturers benefitting from new infrastructure projects? Who exactly is profiting from climate solutions? Andrew Winston, author of "The Big Pivot," Gregg Mast, executive director of Clean Energy Economy Minnesota, and Jamez Staples, founder and president of Renewable Energy Partners, attempted to answer these questions and discuss how we can benefit from "climate capitalism." When we talk about climate change, what words should we use to get our points across? Suzanne Shelton's 2017 survey focused on sustainability in terms that all Americans can agree on. Is Minnesota on track to reach emissions goals? And who is responsible for getting the state there? MPR News reporter Elizabeth Dunbar and Ellen Anderson of the U of M Energy Transition Lab talked about the direction the state is heading, and how fast it's getting there. The warmest ocean temperature ever was recorded in California this week. Scripps researcher Melissa Carter talked about how this happens and what this means for the coast and the world.